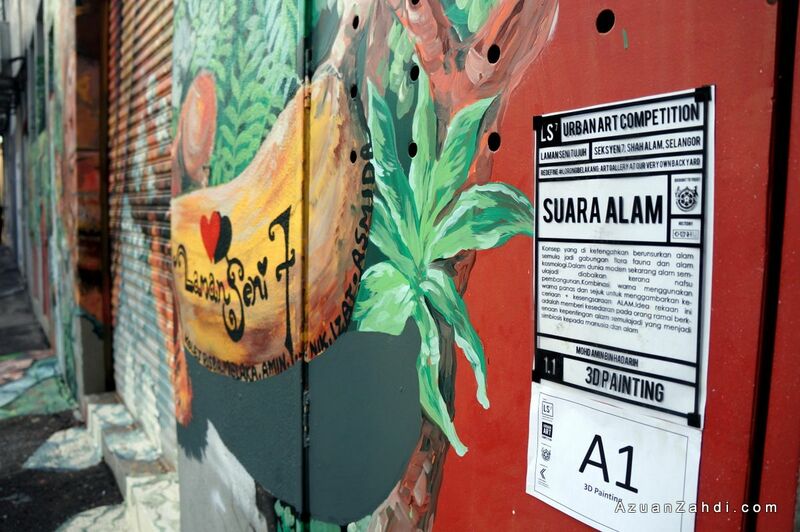 A couple of months back, I visited and blogged about Laman Seni @ Seksyen 2 Shah Alam (click here to read), the ‘first’ street art project endorsed by Majlis Bandaraya Shah Alam (MBSA). At that point, I commented that it was quite nicely done, a good start and a noble effort in encouraging creativity but I was also a bit concerned about it being a one-off thing. 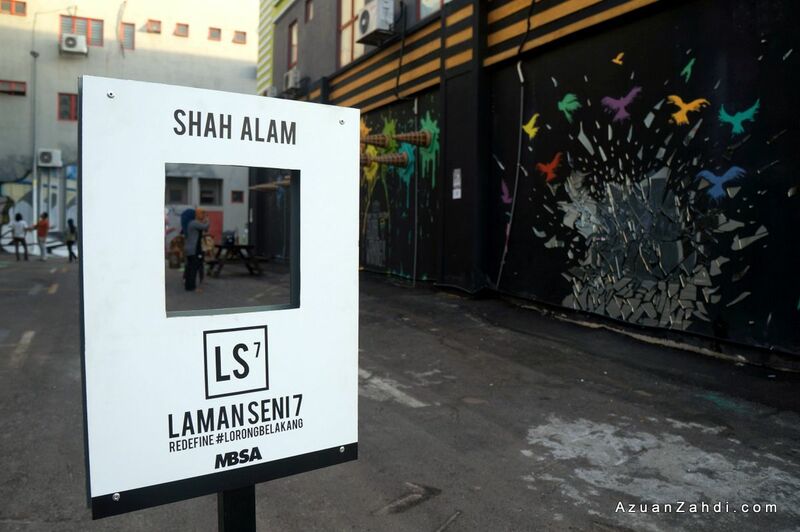 I am now glad that MBSA, KHZNH Studio and a group of talented local artists prove me wrong when they unveiled the ‘part 2’ or continuity of Laman Seni initiative yesterday. 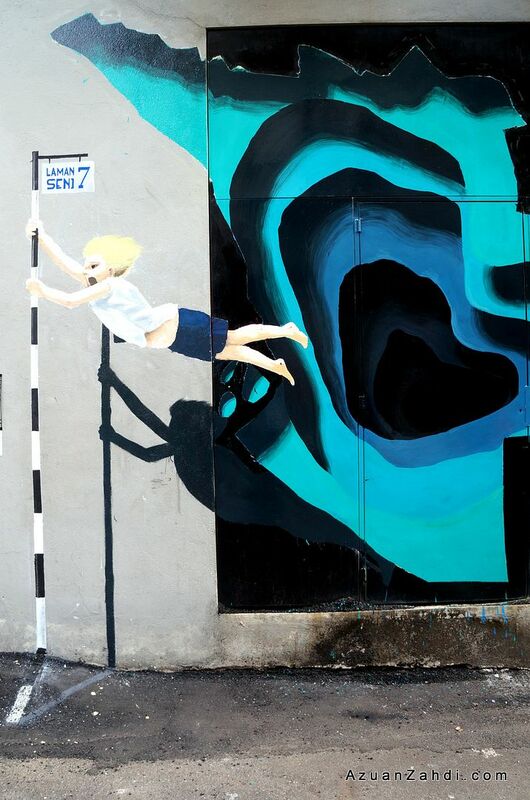 Introducing Laman Seni 7 Street Art (LS7). 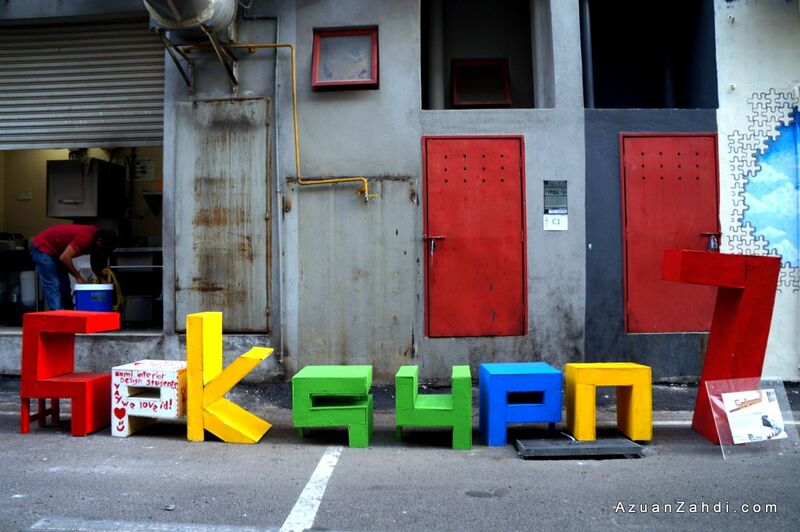 Organised by KHZNH Studio, Laman Seni 7 is bigger, grander and more exciting. How to get there? Drive/ride/walk to any of these landmarks and Laman Seni 7 will be within walking distance: Tutti Fruitti Seksyen 7 Shah Alam, Islamic Steakhouse, Restoran Wong Solo Seksyen 7 Shah Alam. 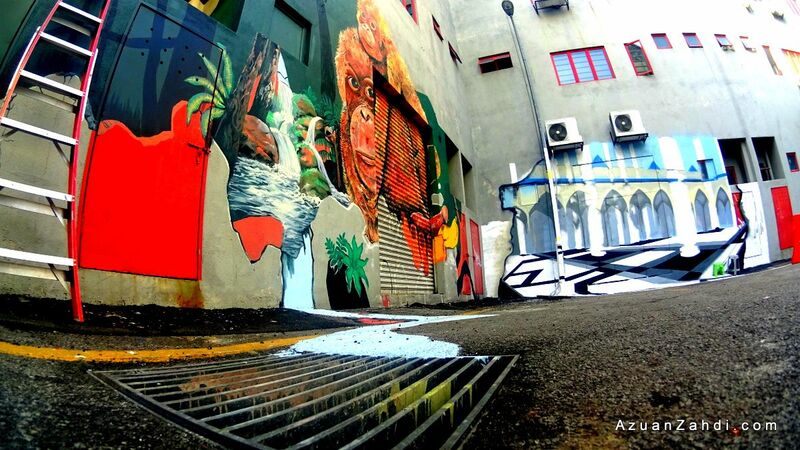 Once you are at the above landmarks, just walk into a nearly #lorongBelakang and you will be able to spot the murals. If you can’t find any street art and can only see tikus, air longkang or brader potong sayur then you are at a wrong lorong belakang. 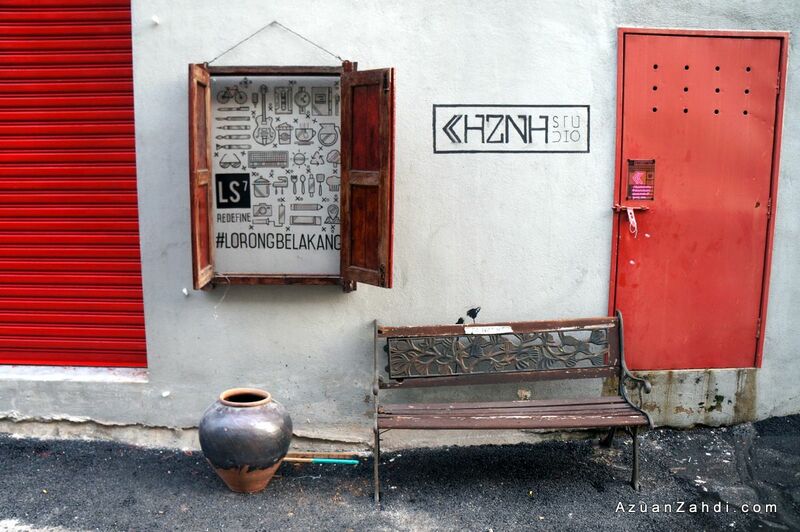 This #LorongBelakang of Laman Seni 7 has been transformed into a clean, tolerable back alley that even VIPs like MB of Selangor are cool with it. 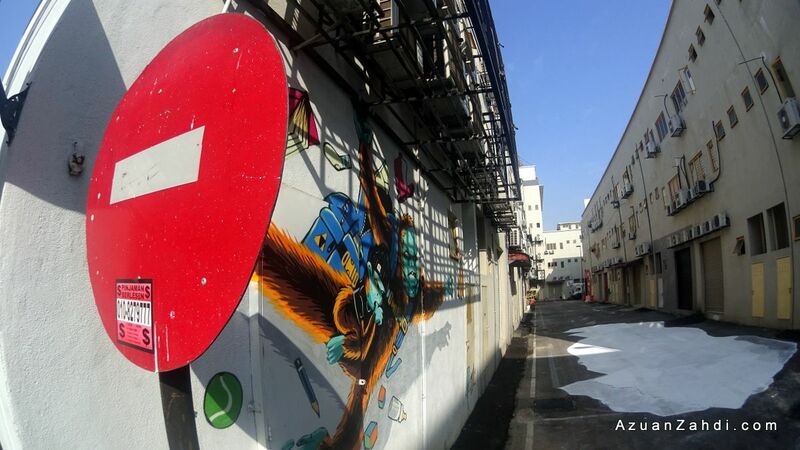 I had the opportunity to check out Laman Seni 7 a few times including during its “work-in-progress” stage and the opening ceremony yesterday, so here are some photos of this cool new attraction in Shah Alam. Photos are in random order. Louise Low’s “What Are You Doing?”3D installation. “Melting” by #Cloackwork. 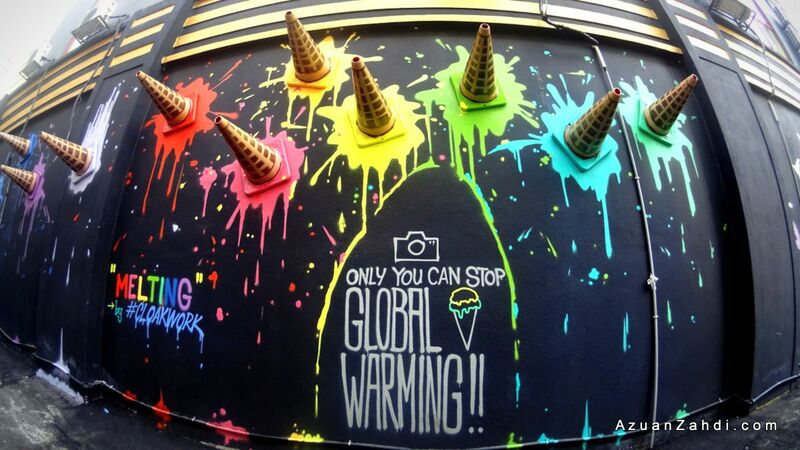 A message on global warming. Good timing I would say. 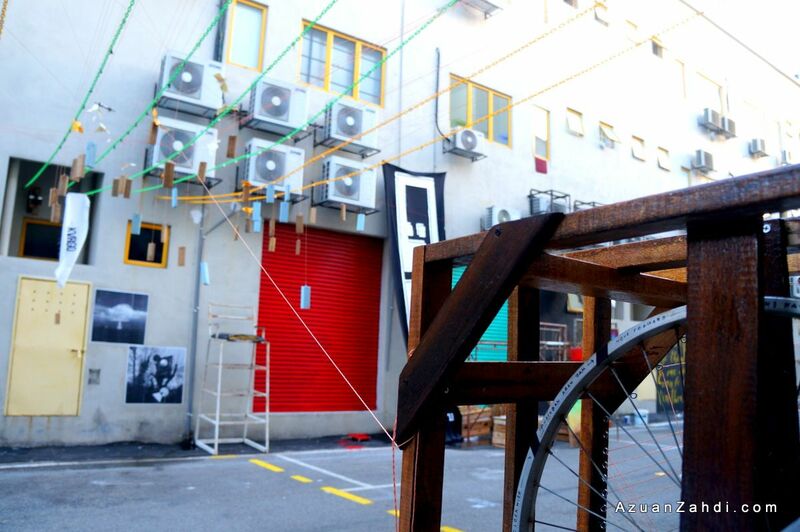 Both of the above artworks during its creation stage. “Suara Alam” by Mohd Amin Hadarih and “Di sebalik Hutan Konkrit” by Kamalpatio. I love this beautiful “Owl” by CNVSSTORE. 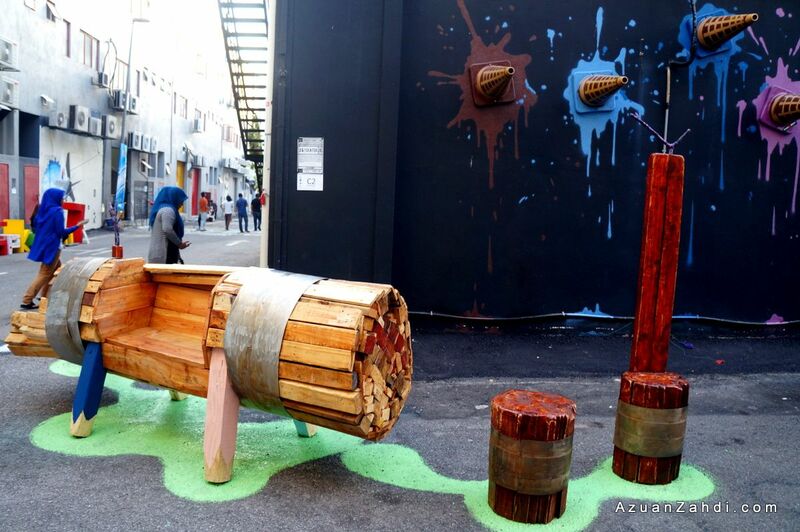 “2 & 1 seater” by Zakaria Sharif “The Vacuum” by Muhammad Iqbal Ridzuan. I can foresee lots of superman wannabe pose here. “Lompat kaki naik sebelah!” “Typo SC7” by Salmiah Aziz. No, the guy at the back would not be there all the time. 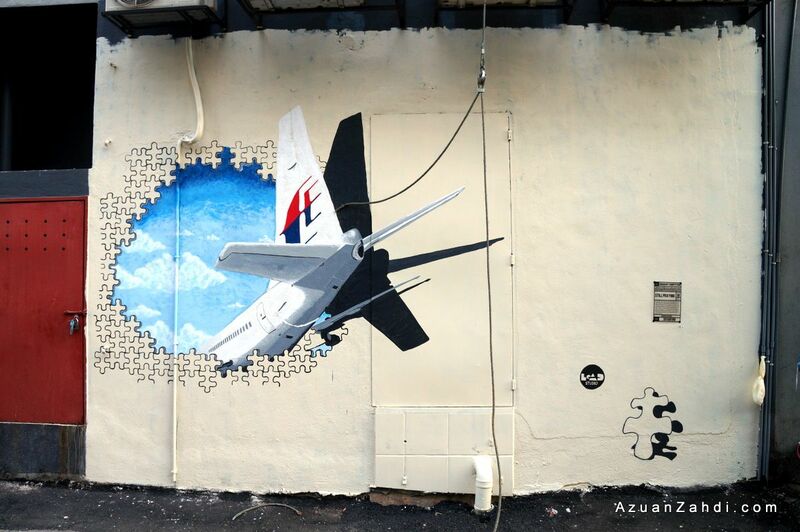 Being an “aviation geek”, I love this tribute for MH370 murale. “Still praying”. If only it is this simple to bring the plane back. 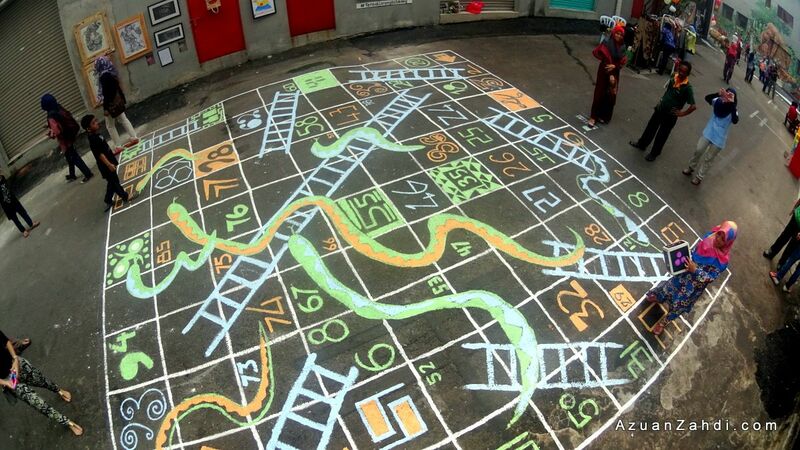 Up for a quick snake and ladder game? Make sure you go to the loo before coming here. 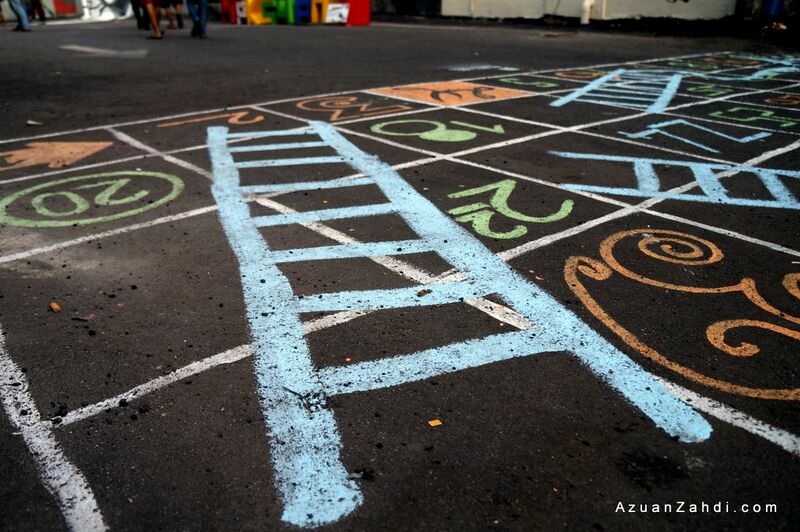 Do not be tricked by the art. 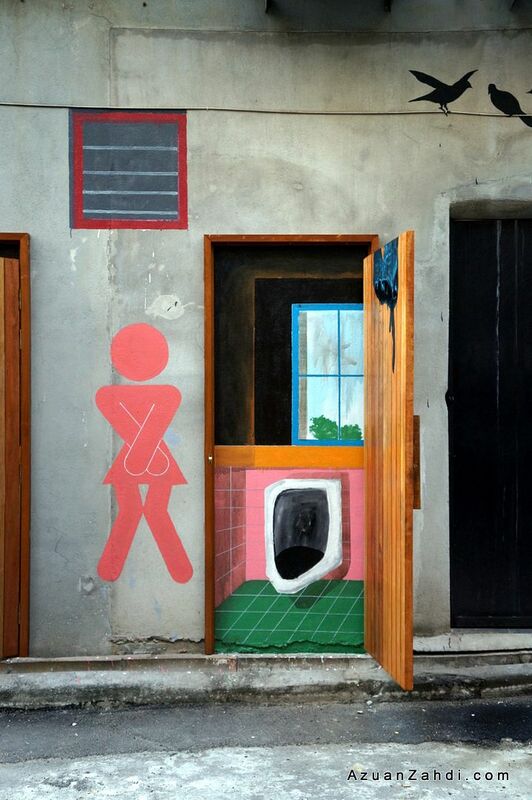 No toilet facilities available. 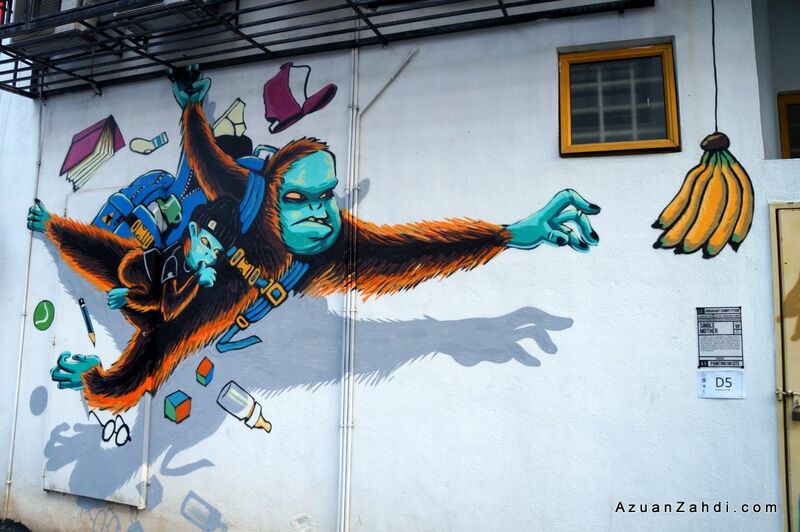 “Lepas” by Mohd Ridzuan Abidin. KHZNH’s. 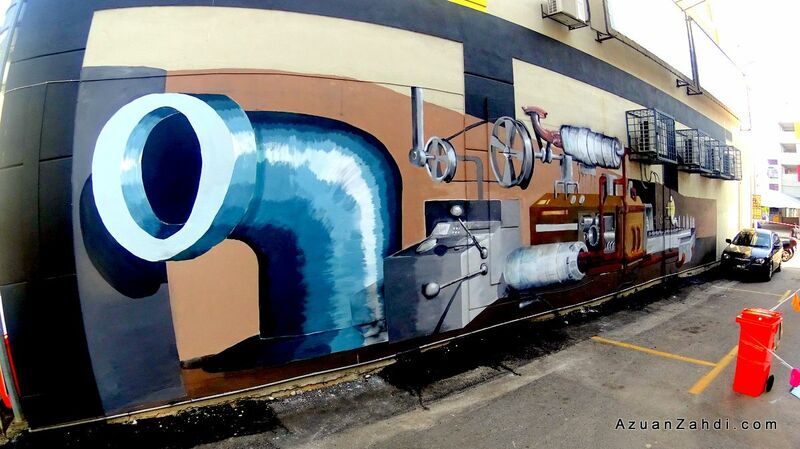 “Dasar Sungai” by Mohd Syazani Saleh “Legends” by Mohd Azizi Azhar brings the Super Mario game alive! MBSA in 2047? Hopefully by then Selangor would be able to achieve their Misi 33 in that Stadium 😛 “Kolong” by Rusyidi Alias “Single Mother” by KenjiChai Lots of people love to snap photos here at “Prac-niture” by Mohd Fazry A Rahman. Something about the colours and chairs and umbrella that just blend in well. “Idea” by KVRGO Design is quite unique. 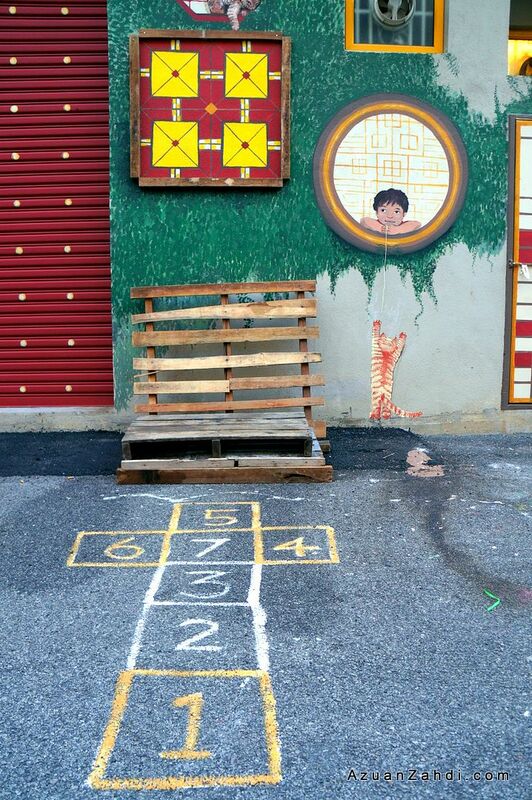 “Dimesi by Nuur Hafizah Ramdan “The Courtyard” by Bawang Studio features a “teng-teng”. 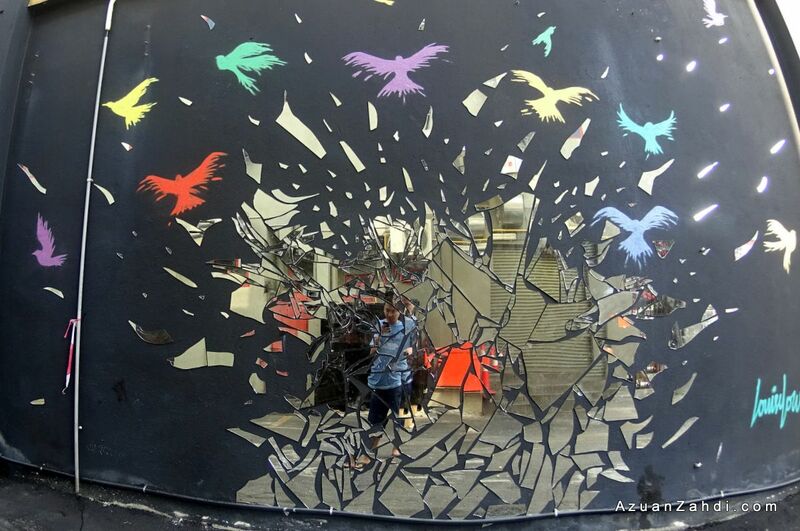 I love art that includes interactive feature like Dimensi and Courtyard. Reality hurts. 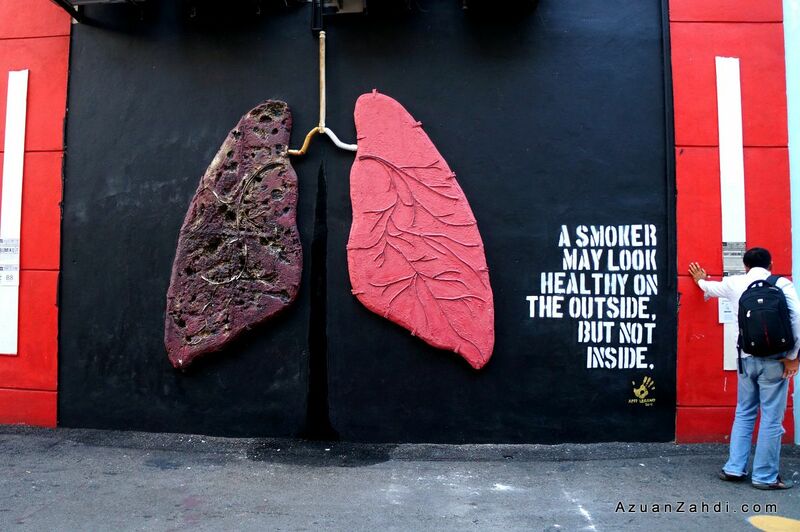 A friendly reminder on danger of smoking. 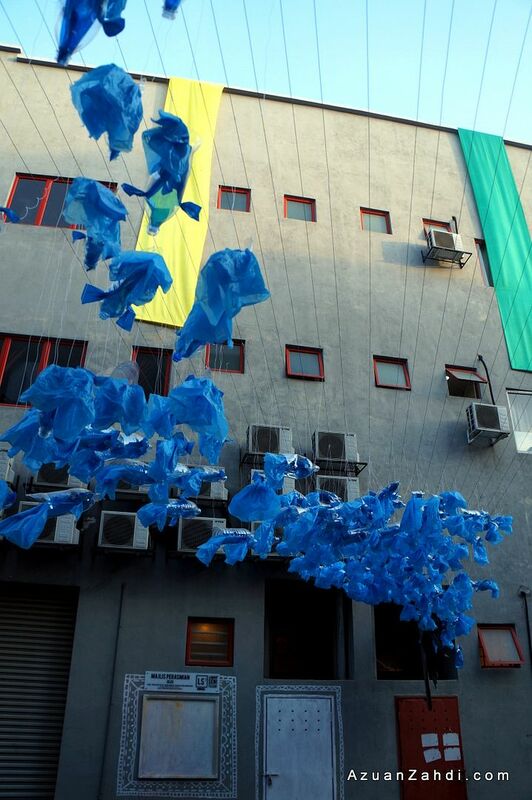 A nice way of using the water dripping from the aircon compressor above the art piece. 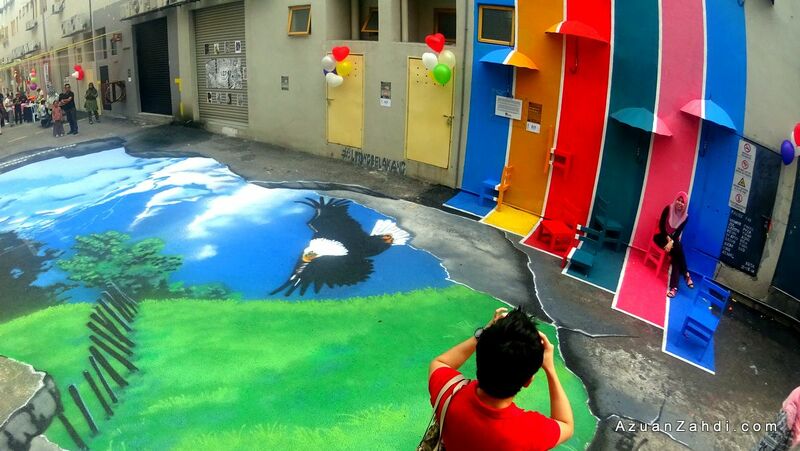 These are just some of the street art on display at Laman Seni 7. 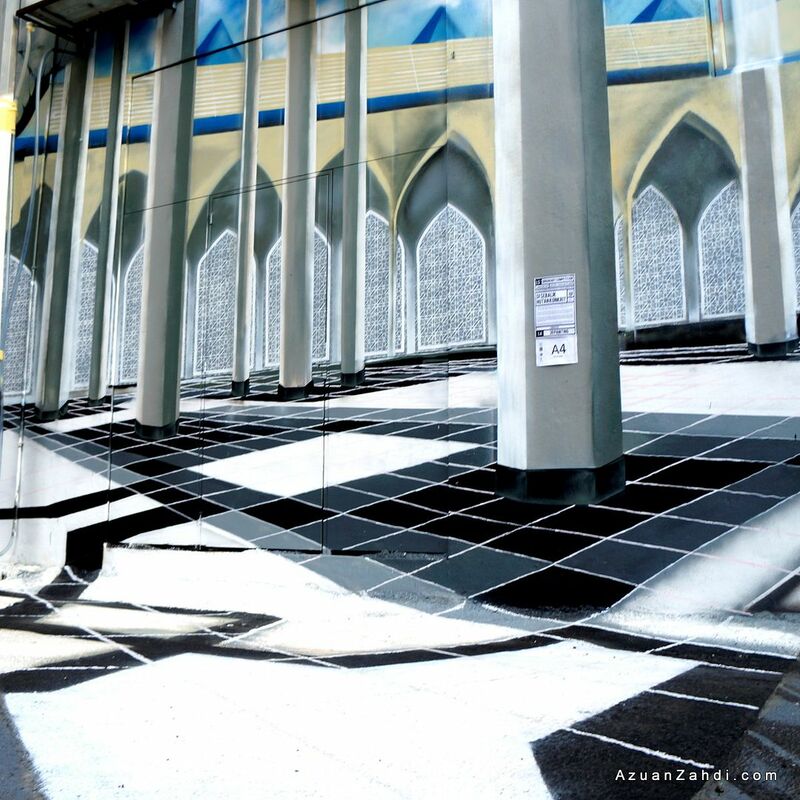 Depends on how detail you are in appreciating art (or photography for that matter), you can easily spend one hour at this new Shah Alam attraction. 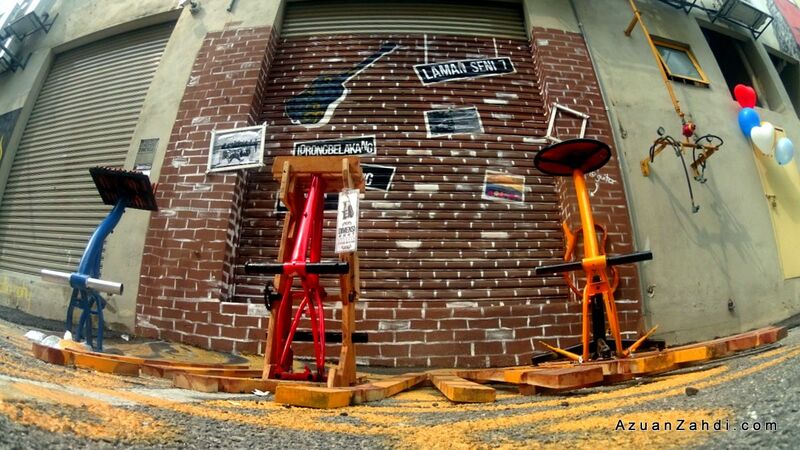 Bring along your cameras, gopros, smartphones, selfie stick and have a fun and ‘hipster’ time here at Laman Seni 7. Congratulations to all those involved with this project and let’s hope that this along with the one in section 2 can be maintained for at least five years from now. Love this post? Leave a comment below and share it on your Facebook/Twitter. Thanks for your write up. Went to check out this place just now. 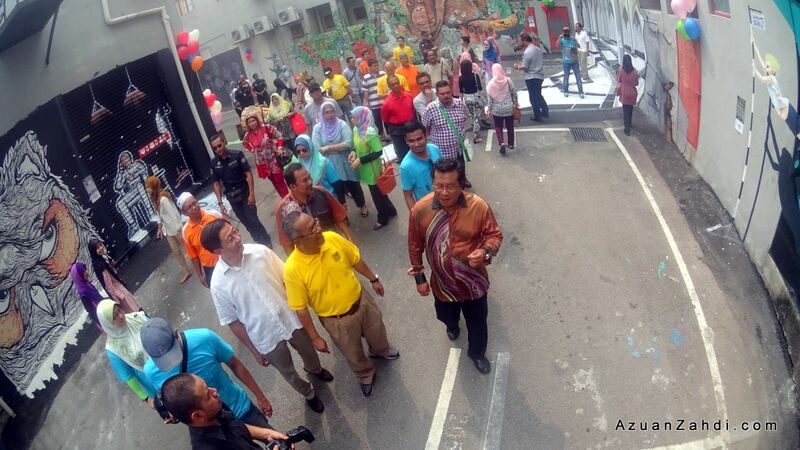 Salam Ramadhan, saya blogwalking kat sini, jemput singgah ke blog saya http://ibu2ahmad.blogspot.com. How about this #lorongbelakang before. Tapi tak sangka pulak this are the end products. 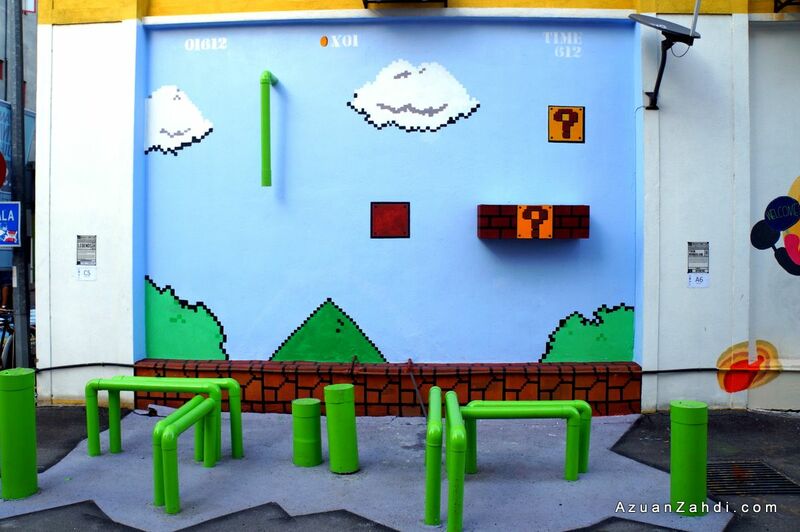 Terlebih ‘awesome’ sangat ni. I guess, I’ve to drag my husband as well. Assalamualaikum , boleh sy tau alamat dia dekat mana ?? 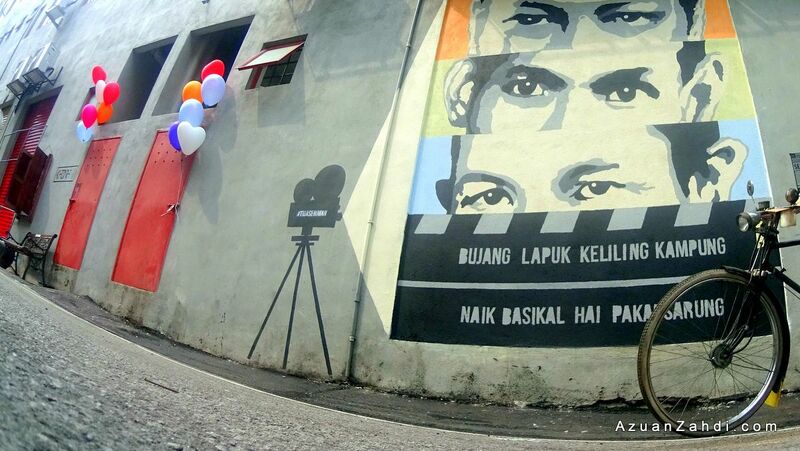 berapa ukuran sebenar lorong belakang street art ni? Hello , do we need to pay entrance fee for this place ? and is it open for 24 hours ? 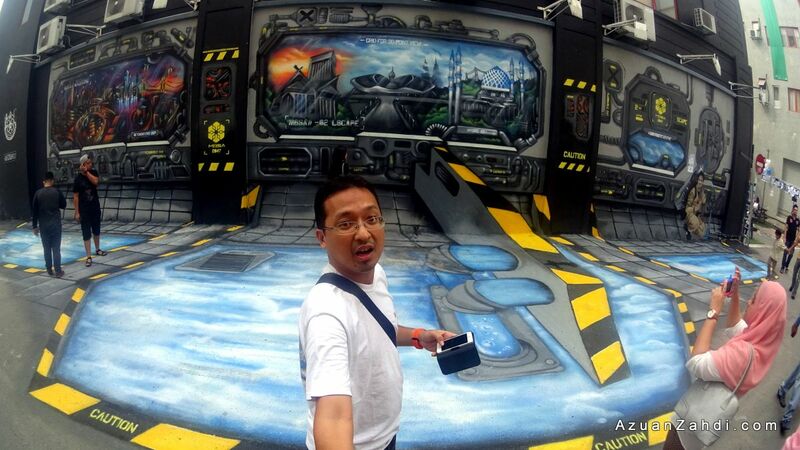 Jadinya sekarang nie street art kat situ masih available for visit or was it already vandalized? I’m planning to come there. Just wanna check with you, how many lane (Lorong seni) at Seksyen 2, Shah Alam. Also is all the artwork around the same area. Wanna bring outstation friends there this Sat. 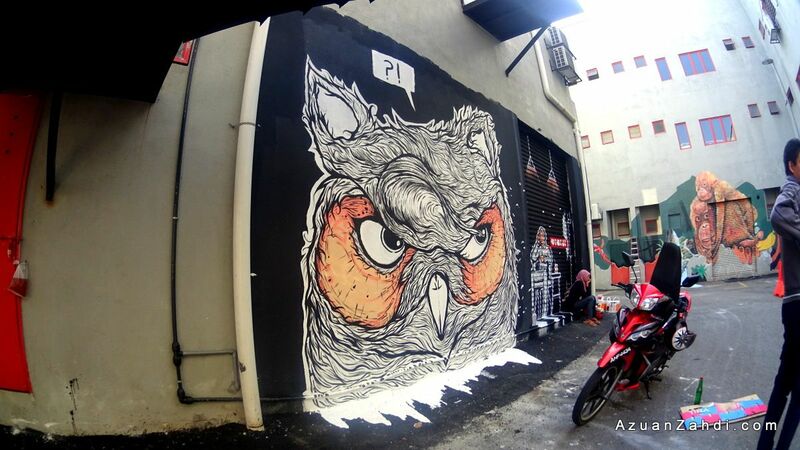 Hi Azuan Zahdi, I’m a design student from Taylor’s University and I would like to ask for your permission to use some of your images for my assignment (It’s a mobile app for street art in Shah Alam) for my submission. I will credit you for it. Is it okay? Lama dah ingat nak pegi..
Tapi x de kesempatan lagi. 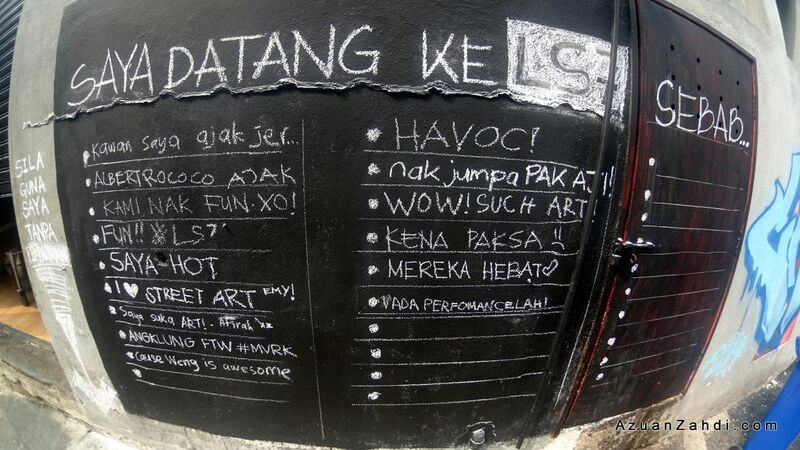 Boleh bagi details/anggaran kos utk buat 1 lukisan street art tersebut. Boleh emelkan kpd sy. Tq. hi I’m looking for some artists to do a mural at my house. Appreciate if you could share me their contact details. Thanks. is there any entrance fee to go there? and how to go there by public transport ? Boleh saya dapatkan nombor telefon atau emel beserta kos untuk membuat seni graviti. Terima kasih. Hi, it is but some has been vandalised unfortunately.